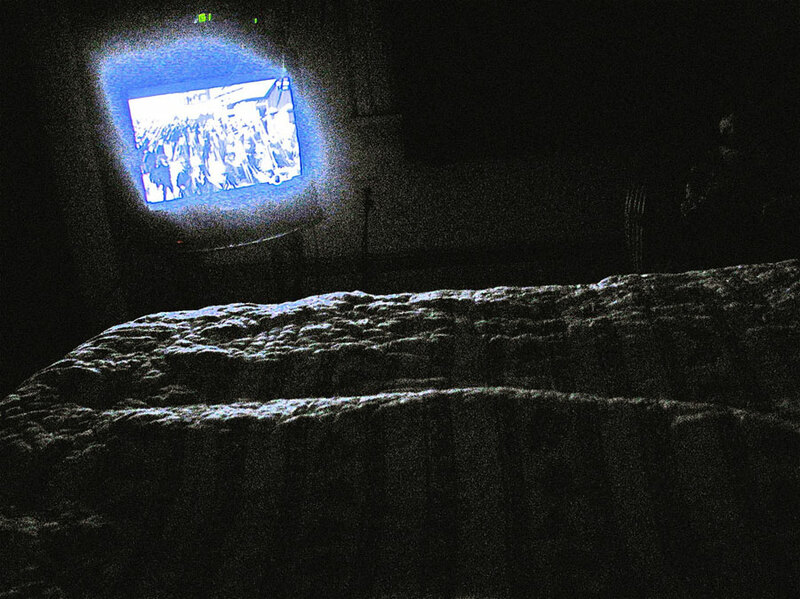 “Nite TV” was taken at near 2:00 a.m.; the image on the TV is my solitary view of a crowd demonstrating in Western China. In the past few years, I have been keeping a photographic night diary of those moments when I awaken and the world has rearranged itself in ambient moon/cityscape glow and, occasionally, the radiant flash from the TV. The photos are then digitally retrieved from the suffused glow or flash to balance light with the ‘unseen’ and reveal whatever grainy life/landscape exists in the black surround. Caroline Beasley-Baker (website) is a visual artist and poet. She learned to recite her first poem, a traditional Scottish song, when she was 16 months old, sitting on a barstool next to a gorgeous gloved and hatted woman in a family bar in downtown Kansas City, Missouri: “I am a poor little orphan, my mother is dead, my daddy’s a drunkard…” Subsequently, she has known an inordinate number of poets and writers and storytellers. Her poems have been published in MungBeing Magazine, the MOM Egg, and qarrtsiluni, and her ‘chain’ poems done with Holly Anderson and Lisa B. Burns will be published in a chain poem anthology by Meritage Press later this year. She has also received a New York Foundation for the Arts Fellowship in painting, and her sets for choreographer Bebe Miller have been collected by the Jerome Lawrence and Robert E. Lee Theatre Research Institute at Ohio State University.